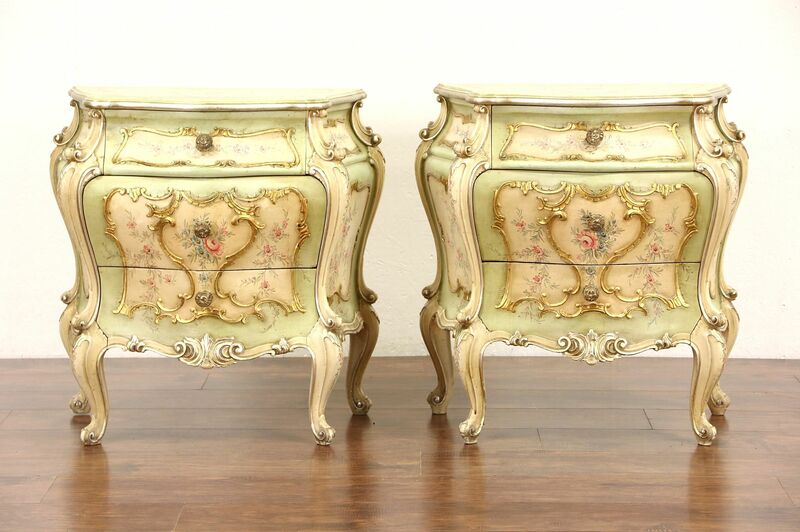 A pair of Italian "bombe" or convex Baroque style chests or nightstands was artistically hand painted in the 1940's in Venice. Subtle gilt silver and gold accents and the delicately shaded finish are in extremely fine condition. Hardware is original on this palatial vintage furniture. Measurements are 26" wide, 16" deep and 26 1/2" tall. Dresser in last photo is matching and is sold separately.